General Pervez Musharraf must lead a charmed life. He has survived at least five attempts on his life in the last two years. The last attempts were quite sophisticated; I believe they are not the work of some mere gang from Karachi. More likely, they are from Al-Qa'idah itself, the Taliban, or some heretofore undiscovered rogue element inside the Interservices Intelligence Directorate (ISID), the Pakistani intelligence service. Note that the ISID is not a civilian organization, but military. The ISID created the Taliban, were the funnel for all US aid to the Afghan Mujahidin, and had a pretty close relationship with Al-Qa'idah in the 1980s and 1990s. The level of training required to mount the last attempt on Musharraf was far above that of self-learners; it smacked of state-level training. As I recall, there were multiple explosive devices timed to detonate sequentially across a bridge span. The only people with that ability are people trained by the ISID or the ISID itself. Note also that the CIA trained only Afghan mujahidin. The Arabs who came to fight in Afghanistan, what we called the "Afghan Arabs," were either trained by the ISID or by the cadre of CIA-trained mujahidin. Why would anyone in (or formerly in) the ISID be involved in a assassination plot against Musharraf? Remember, up until September 11, Pakistan was not particularly friendly to the United States. Our facilities there had been attacked and American diplomats had been killed. Ever since the imposition of sanctions under the Pressler Amendment (required a nation to be certified as nuclear weapons free to buy US equipment) on Pakistan because of their nuclear weapons program and failure to deliver their paid-for F-16s in 1988-1989, relations had been strained. The F-16 issue really angered the Pakistanis, because for all the concern over the Pakistani ballistic missile program, the F-16 was the initial delivery system for nuclear weapons, and remains part of the strategic nuclear force along with the missile systems. Many ISID and military officers resent Musharraf's friendliness to the West. Many of these officers are devout Muslims. Fundamentalist Islam is strong here. Pakistan is home to some of the most virulent madrasa's in the world, preaching hatred and intolerance. Graduates can be found in the Pakistan Army and its ISID. I met the then-head of the ISID in 1989. Not someone I would want interrogating me, but to the point, he did not appreciate Western secularism at all. Remember, despite cooperation with the United States in the war against Al-Qa'idah, Pakistan is officially the Islamic Republic of Pakistan. I am not sure what the catalyst for change was, but after September 11, Pervez Musharraf decided to overtly support the United States in Operation Enduring Freedom (OEF). There was some contact prior to that, but of a much lower level and very low-profile. 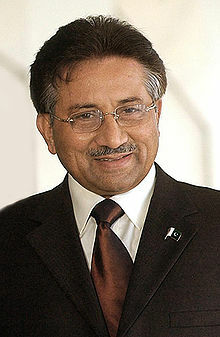 One analyst told me that Musharraf is supporting us against Al-Qa'idah and the Taliban because they tried to kill him. I think it is the other way around - the sophisticated assassination attempts were mounted post OEF. I am only speculating here, but I would bet you even money, maybe even give you some odds, that Pervez has made some arrangement for resettlement in the United States or Great Britain should he be deposed. For my part, I have no problem with it. Pakistan has gone after Al-Qa'idah (and the remnants of the Taliban) with a vengeance. * While initially, Musharraf only allowed the United States use of its airspace and some low-key basing, eventually the Pakistanis mounted some serious military operations in the Waziristan tribal area along the Afghan border. In deference to the analysts I mentioned earlier, this in fact did come after some assassinations attempts on Musharraf. In retaliation, Al-Qa'idah operatives in June 2004, tried to kill a Pakistan Army corps commander responsible for the Waziristan operation. The investigation into the attack has led to the biggest intelligence gains against Al-Qa'idah to date. One arrest lead to another, including a nephew of September 11 mastermind Khalid Shaykh Muhammad. That led to the arrest of who I consider the biggest catch - computer expert Muhammad Na'im Nur Khan. Khan himself was a find, after all, he functioned as the "communications center" for senior Al-Qa'idah leadership. More important than the man, however, were the computers and data discs detailing Al-Qa'idah planning. 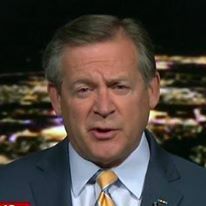 As a result of this treasure trove of intelligence, operatives were arrested in Great Britain and Dubai, and terror threat alerts were issued in the United States. This is surprising when one considers the makeup of Pakistan. Like countries in other areas, what is now Pakistan was created by the British out of the Punjab, Kashmir and Baluchistan (we will forego the West Pakistan and East Pakistan/Bangladesh split). English is the unifying language; it and Urdu (Urdu is spoken by less than 10 percent of the population) are the official languages. As an aside - since the casing notes found on Khan's computer were in non-native English, I believe the reconnaissance was likely done by Pakistanis. Ironically, Pakistan may be the best ally we have in the fight against Al-Qa'idah. That future of that alliance is likely directly dependent on the survival of Pervez Musharraf. * The only divergence from this policy of going after the terrorists is Pakistani support for Azad Kashmir, guerrilla operations (some call it terrorism) by the Taliban and Al-Qa'idah against India in the region of the Siachen Glacier. I still haven't figured out how this still happens. An-Najaf: Another Lost Opportunity in the Making?